Has lectured for 10 years throughout the US and Internationally. 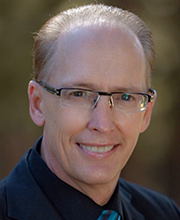 Dr. Jim Downs knows that you can run an "everyday" successful practice just like him. At his family dental practice he regularly diagnosis, presents and completes large comprehensive dentistry and his patients are no different than yours. Their patients struggle financially. The practice location isn't considered economically ideal. New patients are not flooding his doors. In the past few years, their practice experienced a nearby, once busy, hospital shutdown which changed the neighborhood. Yet, with a focus on patient relationships and “the numbers," their practice has become more profitable and productive than ever. "I'm not going to tell you gaining acceptance for a $45,000 treatment is easy. It's not. It takes time and energy to focus on what's important for the patient. You have to follow the structure." A graduate of Tufts University School of Dental Medicine, Dr. Downs has always been focused on a comprehensive approach to dentistry. He learned early on how to handle full-mouth rehabilitations. He has been placing implants for over 20 years and includes orthodontics into his general practice. But, it's his balance of clinical skills and business management for an "everyday" practice that sets him apart from other educators. He teaches Full Arch Reconstruction, Everyday Occlusion, Implant EZ, and the Know Your Numbers courses, but most of his time is spent in the trenches just like you - running a challenging 21st century dental practice. Dr. Downs and Aikido: How this Japanese martial arts practice influenced his dental practice. When asked where is your mind, many point to the head, but a true Aikido student will point to his or her heart. It’s this relationship that breeds passion into dentistry for Dr. Downs.